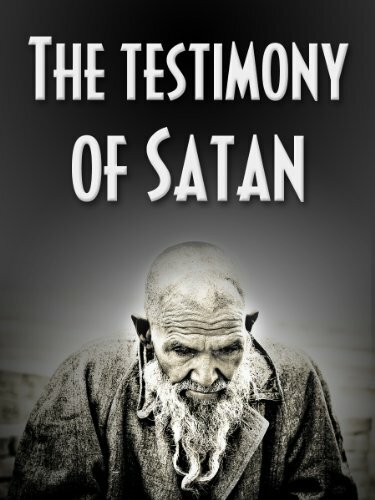 Readers Are Raving: “Insightful & Thought-Provoking” – Jeremy Brown’s The Testimony of Satan… Watch Book Trailer Here! Over 426,000 Views on YouTube! What if you were given a rare opportunity to explore some very in depth details about an out of body experience of a man.This maybe different from anything you have ever read before.Here are a few background details that didn’t make the book.I was approaching the end of a 40 days and 40 nights fast that is about a completely different project that I had been working on for about a year. While approaching the end of this fast I was starting to be overwhelmed with questions about religion,creation,spirituality,how the human brain works,and Is there a universal solutions to our problems.Having a certain calm about knowing that you the only reason my mind is behind bombarded with all of these questions is because the Creator is preparing you to receive the answers. I can remember it like it was yesterday It was January 1st of 2012 around 3:00 am. I awoke from a force that was so strong that it had me reaching down for my bed which I was laying on(Literally it had lifted me off my bed).I immediately grabbed for my journal and pen in obedience to a still small voice. I was accustom to always keeping a journal and pen near by because that is actually one of the 4 R’s(Record) of Formula forty days and forty nights which I was previously working on.As I begin to write per instructions of that still small voice my hand was shaking and my heart was racing , because I was writing about Satan in first person. As I continued to write I begin to pray for peace,provision,and protection. A great calm came over me but it was as if I was still in a trans.I wrote for at least the next 10 hours non stop until there was no more room left in my journal. Every detail of the encounter had become ingrained in my mind and to this day I can still remember it all. By the time I was done writing I had written enough for a book 3 times larger than The testimony of Satan which I released about 5 months later. That same voice gave me specific commands on what not to put into the book.Not giving a long explanation as to why only saying” it is not the proper time”. I haven’t done a single interview via internet,radio,phone,or in person.Today is actually the first time I gave any type of public personal explanation as to what happen.The book trailer has over 300,000 views so this book has gained great momentum without much afford from me.